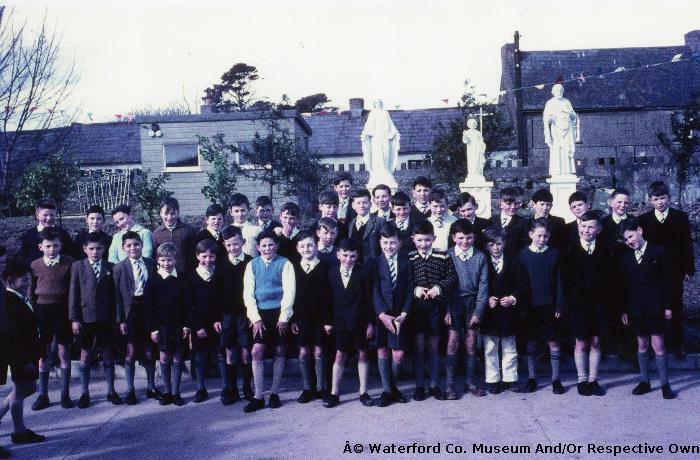 Dungarvan CBS Class In School Grounds During The New School Opening. Dungarvan Christian Brothers School. Students in the school yard during the opening of the new primary school, with Rice's Street in the background.